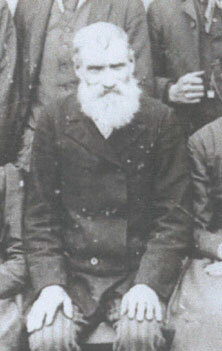 Leeman was born 10 January 1835 in Walker Co., AL and died 29 November 1912 in Gravelton, Wayne Co., Missouri. He is buried at Whitener Cemetery, Marquand, Mo. His gravestone is inscribed, "Our bodies lie in the dust but our names will live forever." Picture submitted by Julia Williamson Young.